What an epic day. 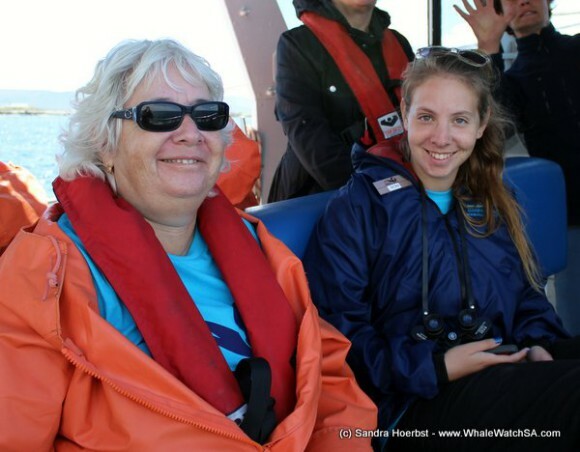 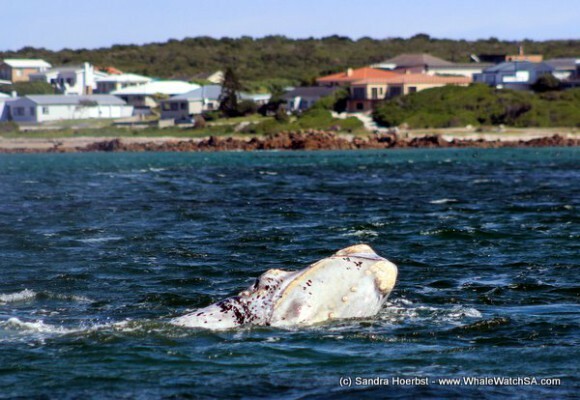 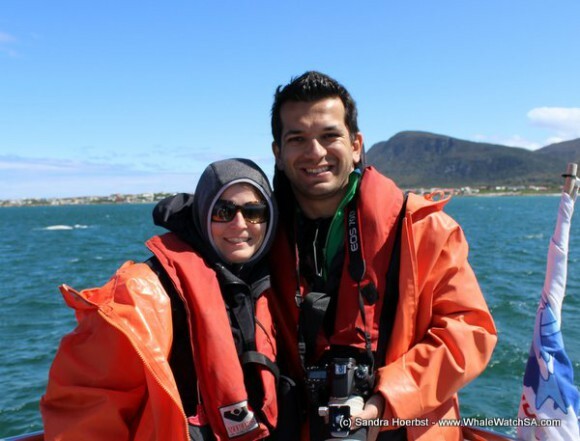 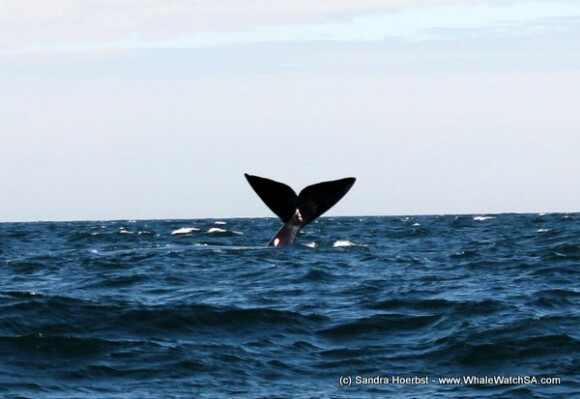 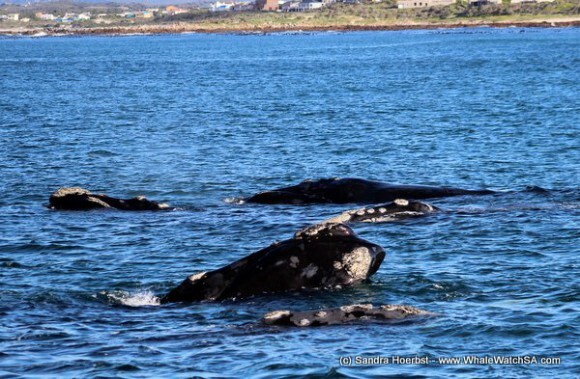 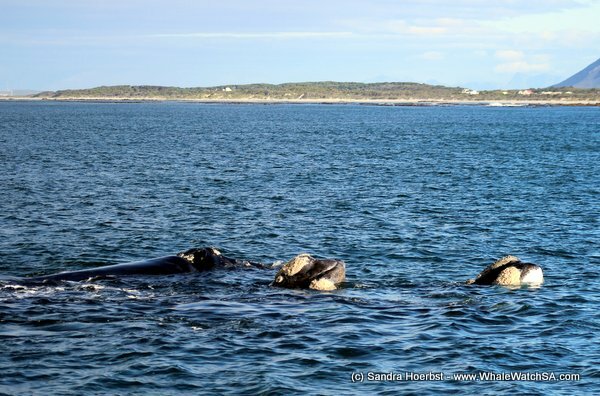 We had some whales close to Kleinbaai once more. 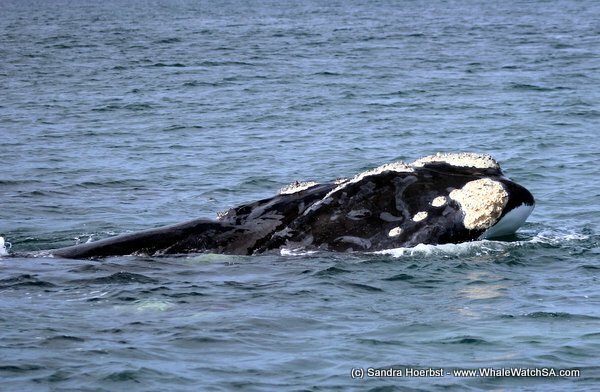 It was a special day for everyone, we found the brindle calf again and he was so active. 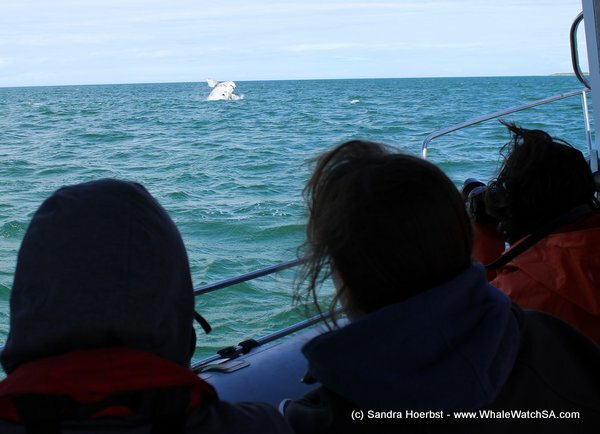 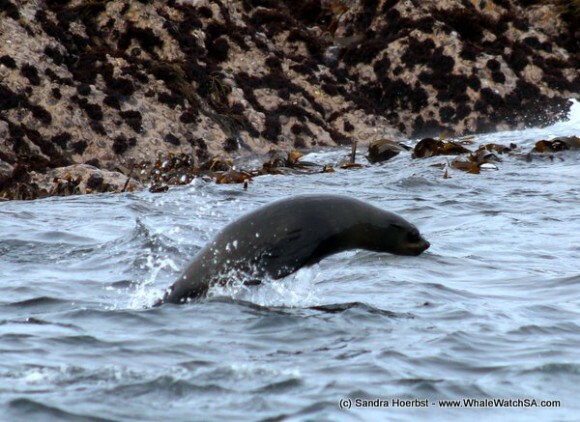 We was breaching, slapping with his flippers and waving with his beautiful fluke. His mother was so relaxed and watched him playing around the vessel. 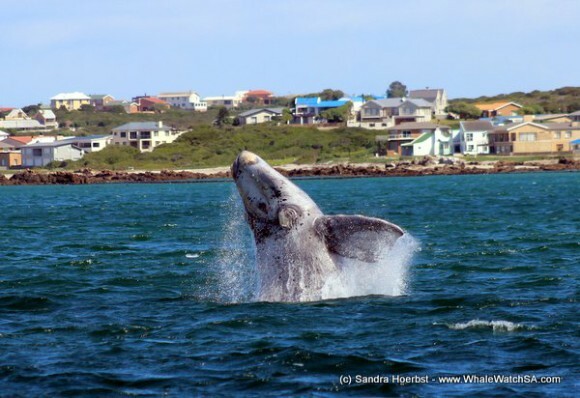 We also stopped at Marine Dynamics our sister company to see the Great White shark. 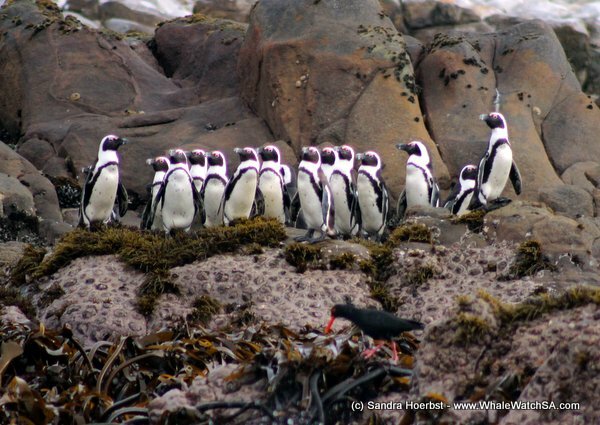 While cruising around Dyer Island, after visiting the Cape Fur seals, we spotted African penguins on their way to the water. 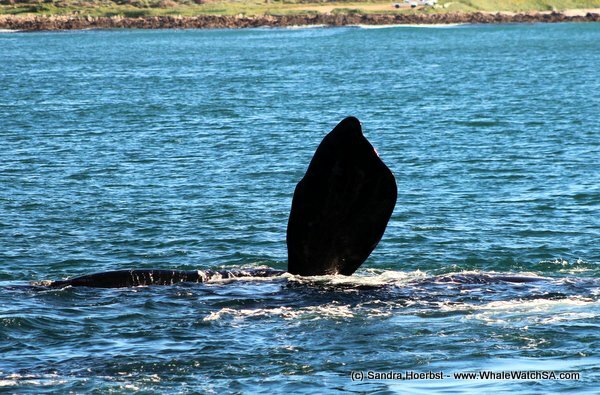 The day did end with a nice drive back home and a few Southern Right whale in the Pearly Beach area.